Are NordicTrack Treadmills Right For You? The first thing you'll notice with NordicTrack's treadmills is that they have tons of features, and most of these features are quite unique. So if you’re looking for a treadmill which has a comprehensive range of features, then this might be the brand you’re looking for. But most of Nordic Track machines have questionable quality. As can be seen in the warranties they offer. The company is only offering 3 years for their motors, 2 years for frames and other parts and a year for all labour charges. However, knowing what their treadmills lack, the company has been improving the quality of their products these past few years. As a result, their recent treadmill models have been praised by numerous experts, reviewers and users for providing better quality and longer warranties for the same price tag. Nordic Tracks are manufactured by Icon Health and Fitness. They are also the one manufacturing treadmills for Reebok, Weslo, Proform and HealthRider just to name a few. This alone proves that they are the biggest producer of exercise equipment in the world. They have facilities located in 4 countries around the globe and every year Icon produces 3.9 million units of fitness equipment. Nordic Track became popular around 20 years ago together with ski fitness machines. But the novelty of home fitness skier wore off so the company decided to expand to exercise machines, which included treadmills. You might also want to know that the original company of Nordic Track went bankrupt, which is the reason why they needed a tie up with Icon, to create their treadmills. NordicTrack treadmills belong in the mid price range category with most of their treadmills ranging from $1,000 to $2,000. But the company also offers a few $800 and $3,000+ units. One of the reasons why buyers choose this brand, is their numerous features. NordicTrack treadmills come with plenty of bells and whistles while still maintaining their affordable prices to give consumers more back for their bucks. Another reason people buy this brand is their packaging. Most Nordic Tracks are beautifully designed and would look good in most homes. The biggest fallback of Nordic Tracks is that it costs more to repair their machines compared to treadmills from other brands (even other Icon manufactured brands). It also has a reputation of poor customer service. So expect to have a hard time getting service for your broken Nordic Track treadmills. To conclude, I do recommend Nordic Track treadmills but only their new models. Buying older Nordic track models are a little risky since their fit and finish quality are not that good and their warranties are not long enough to make you confident in buying them. But before you buy one, be sure to check out our reviews of individual Nordic Track treadmills below to help you decide better. 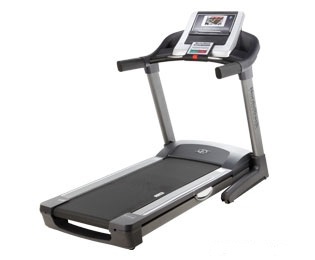 Others: One of the best treadmills below $1,000 in the market for 2013. Others: The upgraded version of the commercial 1500 above. Others: The best Nordic Track for 2010-2011. Others: A quality Nordic Track treadmill that provides good value for your money. 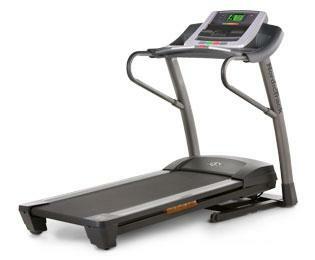 Others: One of the best treadmills you can buy this 2013 below $2,000. Others: The upgraded version of the Nordic Track Elite 9500 Pro which was one of the best treadmills last 2011. This version is also one of the best in its price range for this year. Others: Declines up to -6% and inclines up to 40% to offer users a more intense workout. Others: It comes with a 15 inch stylish TV built into the machine. Others: It features a built-in 10" touch tablet with Android web browser. Below are some of the older treadmills from Nordic Track that have been discontinued. I will keep the reviews here as some of them are still being sold on the internet. Others: One of the best entry-level treadmills last 2008. Others: One of the best values you will find in an $800 treadmill. Others: Comes with the biggest running surface below $1,000. Others: Probably the cheapest treadmill in the market right now that has its own flat screen TV. Others: The most solid Nordic Track this year. Others: this treadmill features excellent cushioning but poor quality. Others: A few years ago, this is one of the better values you will find below $1,500. And with its excellent design, there's nothing more to ask for. Others: If you want value for your money, then this machine provides that and more. It was one of the best treadmills you will find in the market during its introduction. Nordic Track home treadmills are a little light on the construction, but the opposite can be said to their commercial treadmills. Their commercial treadmills are very solid. Plus, they have powerful motors, wide running spaces and tons of features. Definitely, they're a good buy if you can afford it. Others:one of the better Nordic Track treadmills for commercial use. Are Nordic Tracks A Good Treadmill For You? If you use Nordic Tracks in your gym, office or home, chances are visitors of this site would love to hear from you. Write about your experience. It's fun, free and easy to do.